The festival is scheduled to start from September 27th until October 6th, and will be touring 32 locations that include Jerusalem, Ramallah, al-Bireh, Nablus, Hebron, Bethlehem, Jenin, Tulkarm, Birzeit and refugee camps, along with the besieged Gaza Strip, as well as Amman, Jordan’s capital. The festival is held with the support of the European Union (EU), Sweden’s Development Cooperation in Palestine and the Swiss Foundation Drosos. Palestinian mobile operator Jawwal is the main sponsor for the festival, while the media sponsor is Raya FM radio, and the advertising sponsor is Sky Advertising. 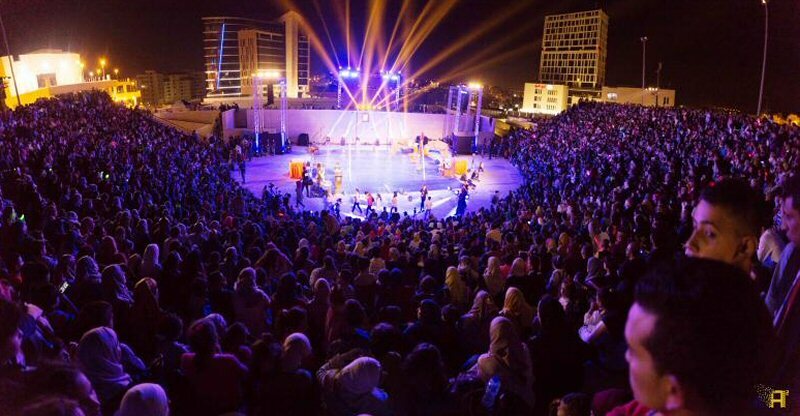 The Palestine Circus School, a non-profit organization, was founded in Ramallah, in 2006, to teach and develop circus arts in Palestine. The school trains annually more than 230 students. Eight circus performances have been produced in 12 years for more than 108,000 audiences locally and abroad.